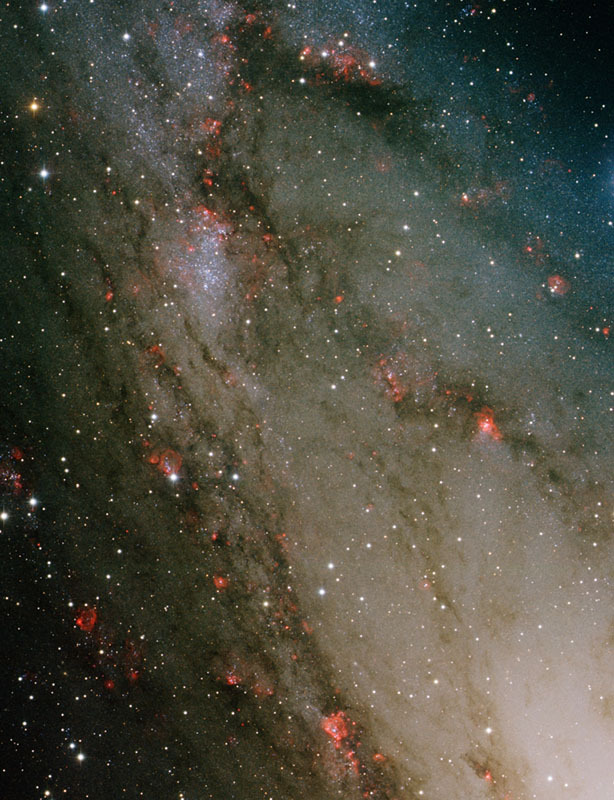 NGC 206 is a massive star-forming region (also known as an 'OB association') embedded in the Andromeda Galaxy (M31). It is clearly visible in the center to upper-left corner of the image. It is estimated to have a mass about 200,000 times that of our Sun. Its distinctive bluish color is from very young hot, massive stars in the cluster. The presence of these massive stars indicate that the cluster is less than 10 million years old, which is very young for stars. 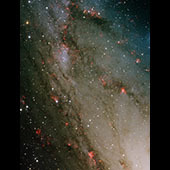 The red nebulae in the galaxies are locations in M31 where star formation is currently underway.